Figs. 155 to 157.—End Elevation, Half Front Elevation and Half Longitudinal Section, and Half Plan and Half Horizontal Section (at E, Fig. 156) of Early English Sideboard. 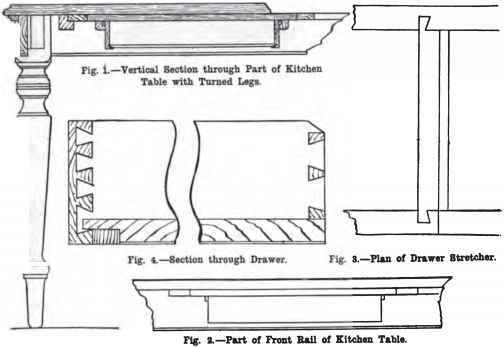 15t.—Joints in Front Rail of Sideboard Cupboard Top (See F, Fig. 106). 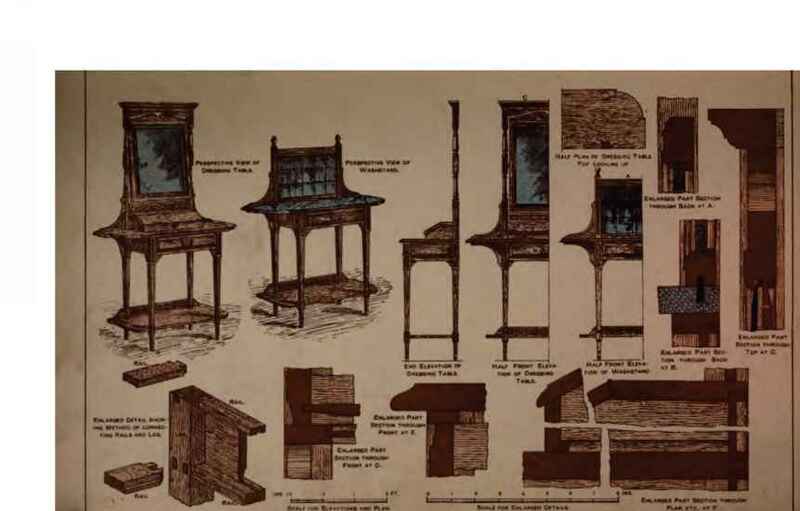 i«o.— Enlarged Vertical Section (Broken) of Early English Sideboard. 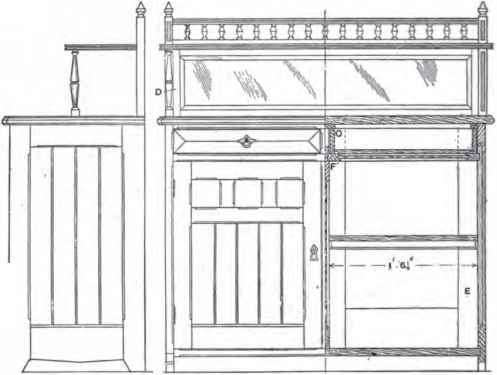 158.—Vertical Cross Section of Early English Sideboard. zontal sections taken respectively on the lines a a and b b (Fig. 147); the second figure being drawn to a larger scale. Fig. Fig. 15t.—Joints in Front Rail of Sideboard Cupboard Top (See F, Fig. 106). 152 is a part vertical section of the lower part through the side cupboard and drawer, whilst Figs. 153 and 154 are part vertical sections through the upper portion, showing pig. i«o.— Enlarged Vertical Section (Broken) of Early English Sideboard. 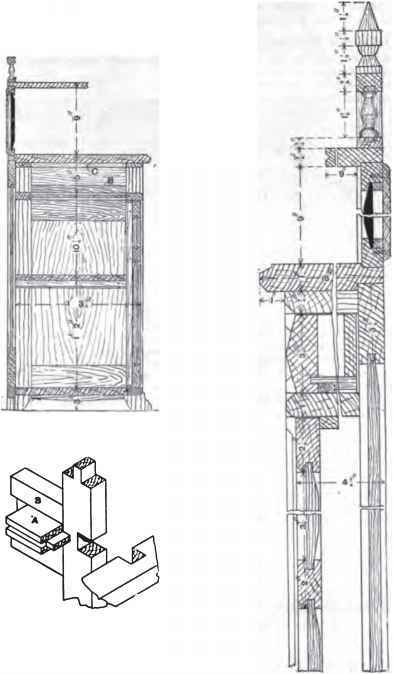 side mirror, panel, and cornice, as well as a detail of the framing at c (Fig. 149).